Saturday and Sunday: 9,30 a.m. - 01,00 p.m.
“Il tempo ritrovato” sale and restoration of antique furniture and objects. 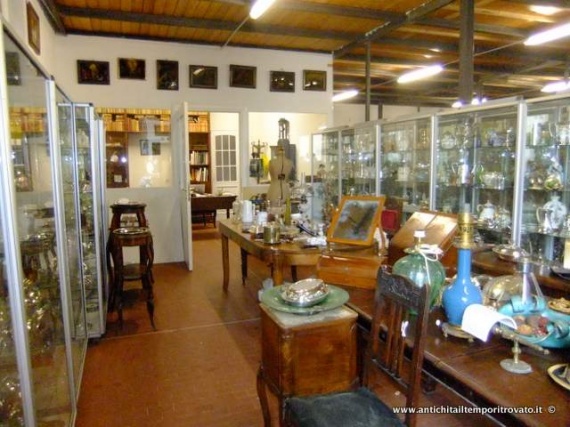 In the heart of Cagliari in Sardinia, for over thirty years Katia Loi has been selling and restoring antiques. Our business has a thirty-year experience and we operate mainly in the sale and restoration of antique pieces. The owner Katia Loi, Surveyor expert antiquarian, is recognized all `register of technical consultants at the Court of Cagliari chronological with No. 9871. To get closer to the needs of our customers, we decided to transfer our historic shops of Via Iglesias and Via Eleonora d'Arborea, in Cagliari, in a unique selling point, bringing together our business in a large warehouse: two floors of 700 sq always in Cagliari, Via del Fangario 13/12 , with two entrances and a large parking lot, which since September 9, 2013 you can visit daily from 9.00 to 18.00 (open all day). Saturday and Sunday from 9.30 to 13. We also have an excellent and highly qualified restoration workshop.